AKG’s Perception 220 is a revised version of the Perception 200; both are fixed-cardioid, large-diaphragm FET condensers. The single obvious difference between the two mics is the pad; the -10dB pad on the 200 has been changed to a -20dB pad on the 220. The Perception 220 is essentially a clone of the Neumann U87A circuit, including the negative feedback loop that provides corrective EQ to the capsule. The published frequency plots for the 200 and 220 are identical. Note that despite the stated frequency range of 20Hz-20kHz, both the Perception 200 and 220 share a -3dB point around 50Hz. The Perception 220, 420, 820, 100, 200 and 400 share the same capsule platform which is is one-inch, center-terminated and true condenser. We measure the capsule at 34mm OD, with a 26.7mm diaphragm. 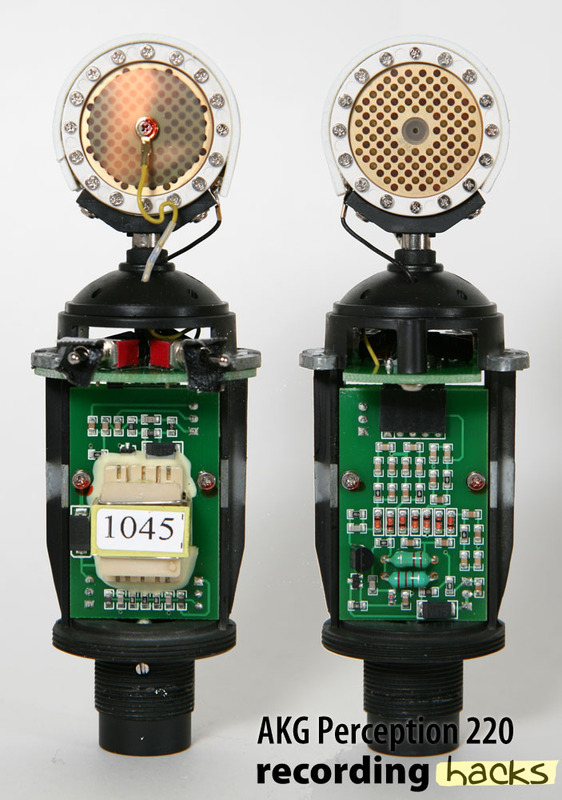 The two capsule backplates appear to be copies of the Neumann K67 design. The front diaphragm is sputtered and center-terminated; the rear half of the capsule is skinned with clear Mylar. Like all the large-diaphragm Perception microphones, the Perception 220 uses an output transformer. Aside from one FET and a few other components, the amplifier circuit uses surface-mount components. Spragens’ circuit analysis reveals that the Perception 220’s circuit “slavishly” copies the U87A circuit, including unused power supply points on the U89 DC power circuit within the U87A. The duplication of unnecessary circuity suggests that the Perception 220 was copied somewhat blindly from a schematic rather than from an analysis of the working microphone. The Perception 220 ships with an elastic shockmount (AKG p/n SH-100) in an aluminum flightcase. 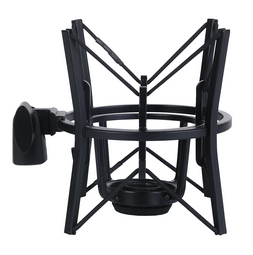 The AKG Perception microphones are manufactured in China, but are subject to AKG’s quality control standards. 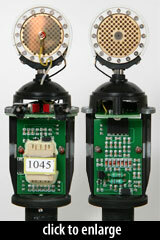 The mics were designed by AKG in Vienna. The Perception 220 was replaced in AKG’s product line with the P220.